This book is about more than just a rags to riches story of how a young Australian went from sleeping on a friend’s couch, $150,000 in debt, no job or future prospects, to becoming a self-made millionaire while still in his 20s. It’s about something much more powerful and unique that he had to discover in order to excel in the game of life in the 21st Century. That “something” was a 21st Century Educational System. 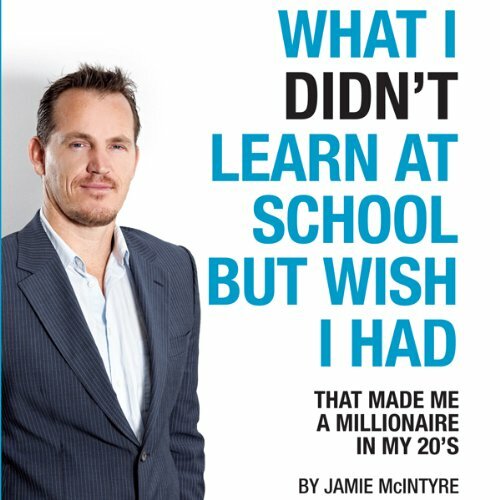 In this book, Jamie lays the foundation for success with a blueprint of the same educational system he used to transform his life from broke to millionaire in less than five years. Unfortunately, you cannot learn this at school or university, and without it your chances of excelling in the 21st Century are remote. More than 250,000 people worldwide have been exposed to the 21st Century Education already, transforming their lives as a result of its knowledge and strategies. Now it’s your turn to discover this unique system that is not only creating millionaires, but is transforming peoples happiness and fulfillment as well. Limestone Kingdom, Book 1: What Are the Stories Behind Their Names? Just save your money there are a lot better books out there. This should be thought in every school at college level and repeated in parenting classes - nothing wrong with a bit of hard work.